He is working to combine the PandoraStar with a device called the “Dream Machine”, designed by French artist Lionel Stocard (www.stocard.com). Two days of successful public testing were done in May of this year. As Alexandre says, “The idea is to combine together these two powerful devices and find ways of enhancing each of their abilities to induce deep trances, inner travel, and out of body experiences, among other strange and interesting non-ordinary states of consciousness. 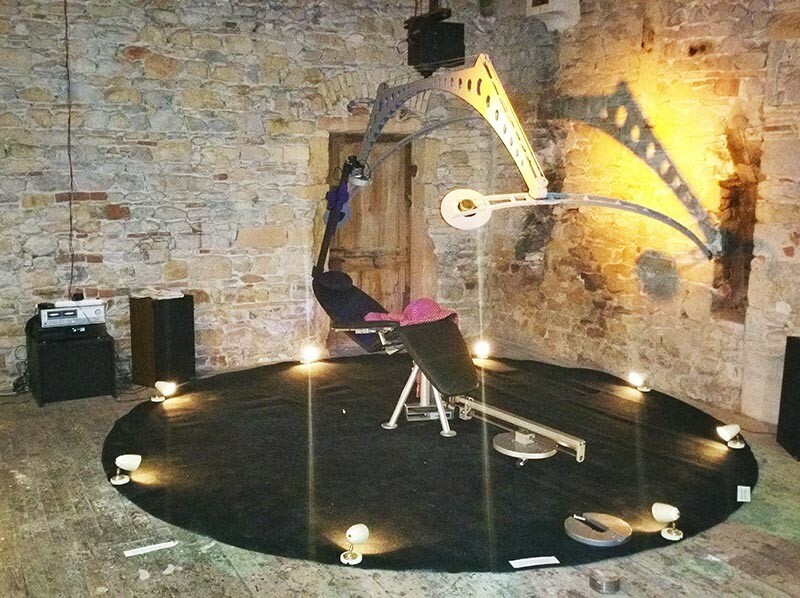 French consciousness explorer Alexandre is doing experimentation for optimal use of the PandoraStar light in general, alongside combining it with such a chair, with the particular goal of establishing the best environment for creativity, insights, and complex problem-solving in all fields.